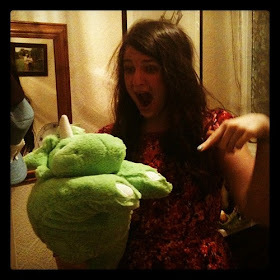 t*rexes and tiaras: My little thatched cottage.. When I mentioned last week that I'd discovered a pretty wonderful new site for cute handbags, I didn't dream for one second that I'd be unwrapping my very own the following week! 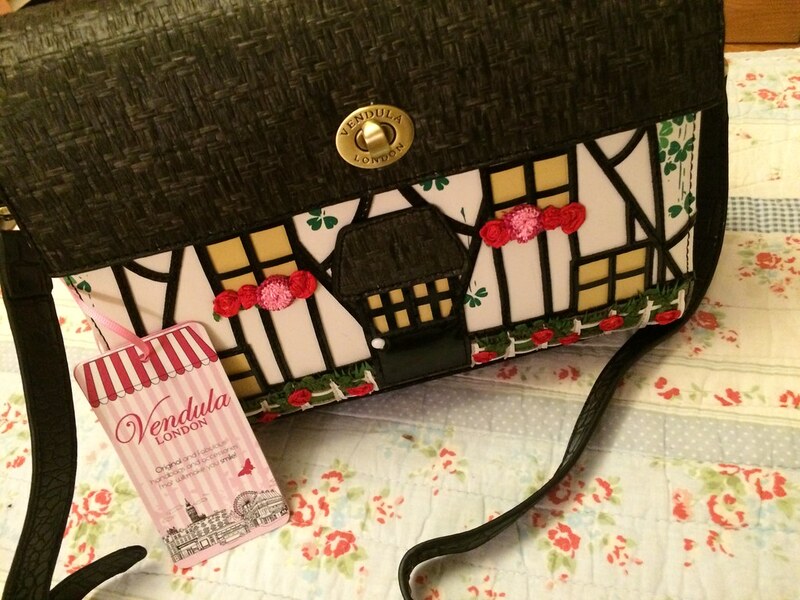 I'm absolutely smitten with this thatched cottage box bag. The level of detail on the bag is amazing. 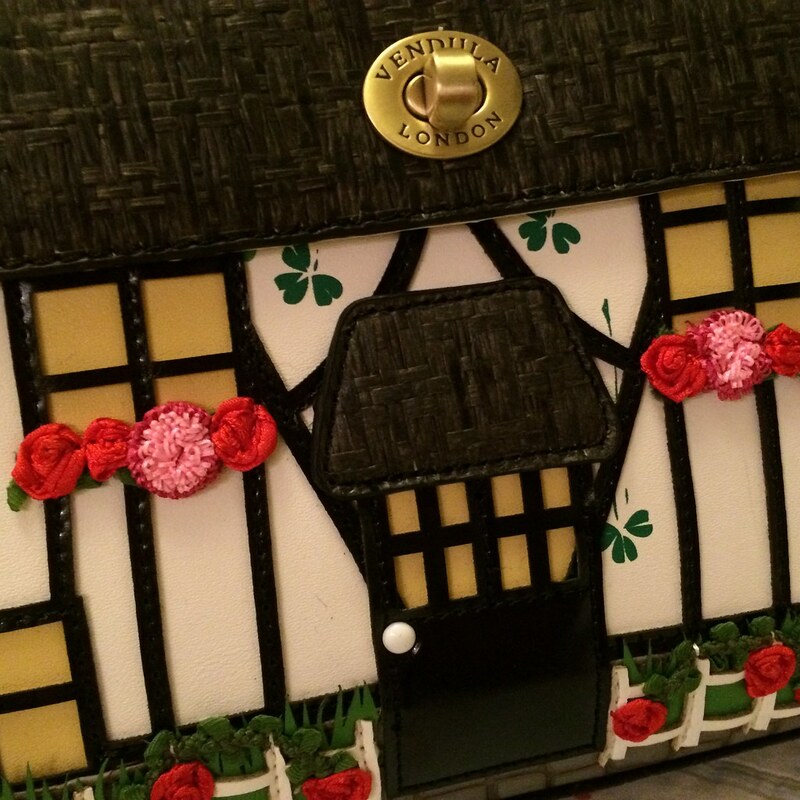 Just look at the flowers around the door, the engraving around the hardware, the stitched textured leather "thatching" above the door, and what I think is my favourite aspect..the tiny picket fence and blades of grass, which are cut so as to give a three-dimensional effect. Inside, the story continues. The bag is lined with a lovely soft cotton in the signature London print which you'll find in all of the Vendula London bags. The box bags are plenty big enough for all of the things I carry around with me daily. Plus, it arrived in it's own pretty little dust-bag, which I love as it means I can keep it on the shelf and be sure it will stay in pristine condition. I cannot wait to use this bag to finish off infinite outfits. 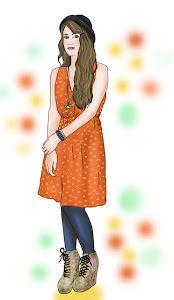 What would you wear this with? 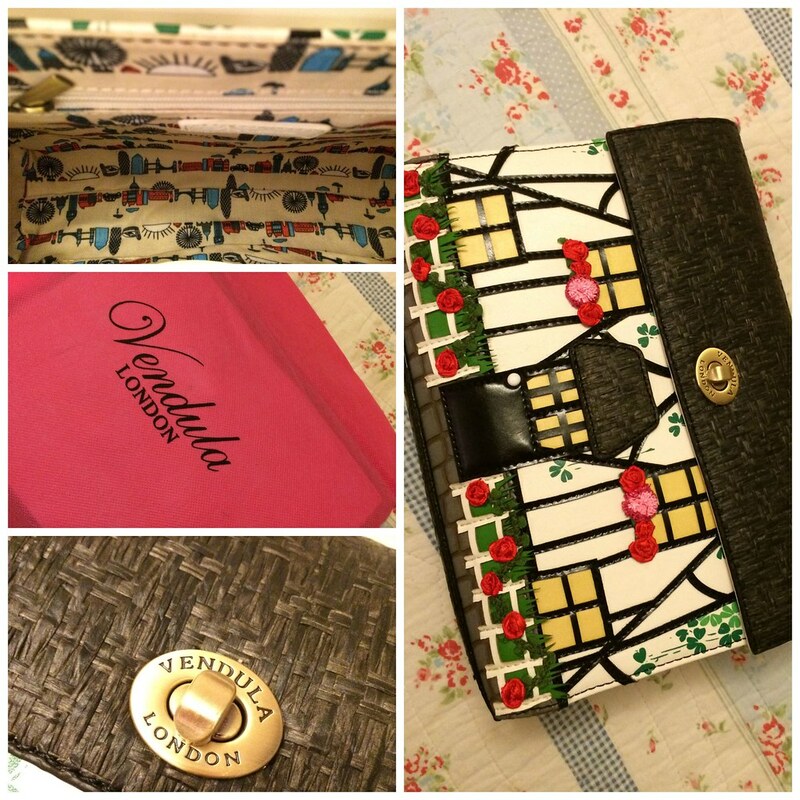 Are you tempted by any of the Vendula London funky bags. I can honestly say I'd wholeheartedly recommend them. I often stopped and leave a comment here. Unfortunately I never get a reply. What's your problem? Thanks very much for your comment- I always try to reply to comments received! It would never occur to me to ask for things like that. I know other bloggers who say that works for them but it just seems a little too impolite for my liking. Ah what a cute little bag Char. It's so you! It's so pretty - I love all of the detail. I love this, even the lining is cute! I know - there are just so many lovely features! Such a sweet little bag! I'm going to check the website out right now. Definitely take a look, they have some lovely items!